The Water for Recovery and Peace Program (WRAPP) began in late 2004, after Pact Sudan received USAID funding for programming in Greater Upper Nile and Greater Bahr el Ghazel Regions. The WRAPP Equatoria program (April 2007 – June 2009) was an extension of the WRAPP program into 7 counties in Eastern and 4 counties of Central Equatoria States. The WRAPP Equatoria program involved partnerships with Sudanese NGOs, INGOs and private sector contractors, with a strong focus on enhancing the capacity of local partner organizations. The sanitation component of the program included the construction of one eco-san public toilet, one school pit latrine and 280 household latrines. The program also established more the 230 Water and Sanitation Management Committees (WSMCs). The total program benefited an estimated 100,000 people including 30,000 returnees. Pact was able to leverage additional funding from other sources to construct three more public latrines. WRAPP has been able to demonstrate that hygiene and sanitation awareness coupled with the installation of improved water facilities can trigger behavior changes in the community that will subsequently lead to a demand and initiative for sanitation facilities. At the same time WRAPP also discovered the importance of creating awareness about hygiene and sanitation in advance of the implementation of water facilities. This approach can guarantees a more enthusiastic participation, which leads to a higher level of acceptance and ownership by a larger group of community members, and supports greater sustainability of the program by reinforcing the link between water, sanitation and hygiene. awareness during their stay in either refugee camps or towns in neighboring countries. Returnees spearheaded the construction of household latrines in their host communities. They replicated what they had learned from outside and assisted in spreading hygiene and sanitation messages. Their active involvement was critical to spurring organic demand for improved sanitation. Pact observed that community management of public latrines didn’t yield positive, sustainable outcomes. WRAPP does not intend to continue the construction of public latrines until there is an improvement in the general public’s attitude toward public latrines. 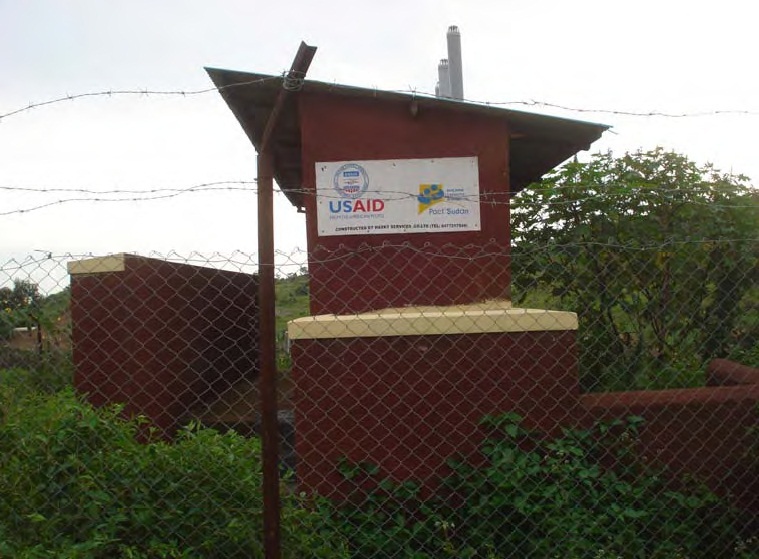 Some places like Kapoeta town have shown positive progress in maintenance and use by privatizing their public latrines, and WRAPP has been in discussion with community management committees and local authorities to convince them to privatize their public latrines. WRAPP will continue to discuss with the local administration in Kaya to privatize the eco-san public latrine built in this program. Kit One is a small community in Magwi County comprised of Acholi returnees who had been living in Ugandan refugee camps during the war. 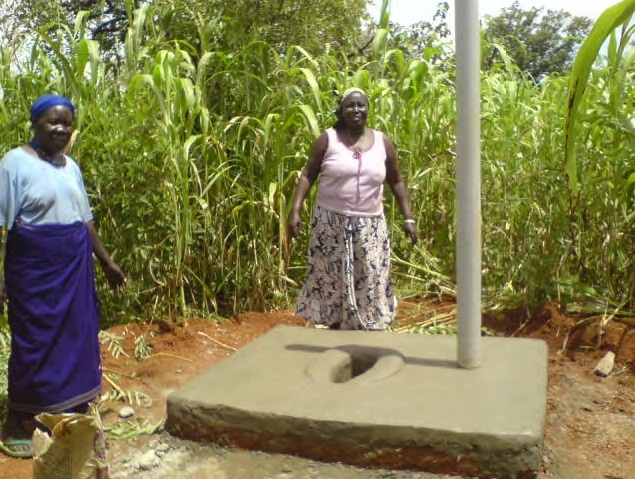 Having been sensitized to household latrines during their time in Uganda, the community responded very enthusiastically to the household latrine project implemented by AWDA (Acholi Women’s Development Association). In addition to the 20 pits dug for the project, 40 other families also dug pits. In light of this demand-driven response for sanitation, WRAPP modified the grant to AWDA to add materials so that the additional 40 latrines can be built as well. In addition WRAPP delivered 15 plastic slabs from other areas where the CBOs have failed to distribute the slabs to household and supplied to AWDA. The 15 slabs were used to complete house hold latrines successfully. This entry was posted in Africa, Hygiene Promotion, Sanitary Facilities and tagged changing behaviour, ecological sanitation, household latrines, privatisation, public toilets, Sudan, Water for Recovery and Peace Program. Bookmark the permalink.